SHARED BEAUTY SECRETS, the exclusive distributors and trainers of LAVA SHELLS and Molten Lava Stones are promoting their LAVA SHELLS and Molten Lava Stones training PLUS their NEW kokolokahi Bath and Body Oils at Olympia Beauty 2017. Visit them at Stand G9 to learn more about their training offers and for an opportunity to try the amazing kokolokahi Oils. They will be taking bookings for all their training days (venues all over the country) and on request, can arrange bespoke onsite training. 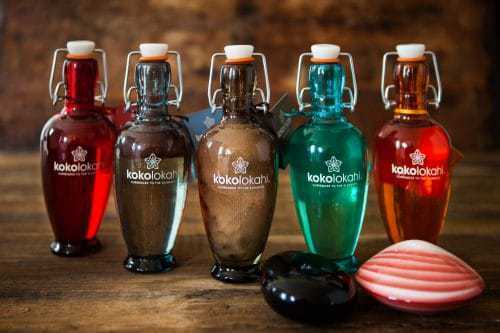 The decadent kokolokahi range of bath and body oils has been developed using a super blend of nourishing Coconut, Argan and Shea Oil together with pure and natural essential oils. The synergy of ingredients have been created to evoke an emotion and each kokolokai Bath and Body Oil radiates a balance and harmony to improve your mind, body and soul. In 2016, Shared Beauty Secrets introduced MOLTEN LAVA STONES dubbed already as “the new stone age” allowing clients to have the benefits of traditional HOT stones but with the added indulgence of continued touch time for over an hour. Deemed as ‘the new hot stones’ by VOGUE, the Molten Lava Stones provide an amazing warm and seamless massage. Visit Stand G9 to find out more and to experience the world of MOLTEN LAVA STONES for yourself.